The flavors of the world cuisine have an invaluable, unique taste when surrounded by the resort’s mesmerizing water surfaces. All day dining with themed night buffets. 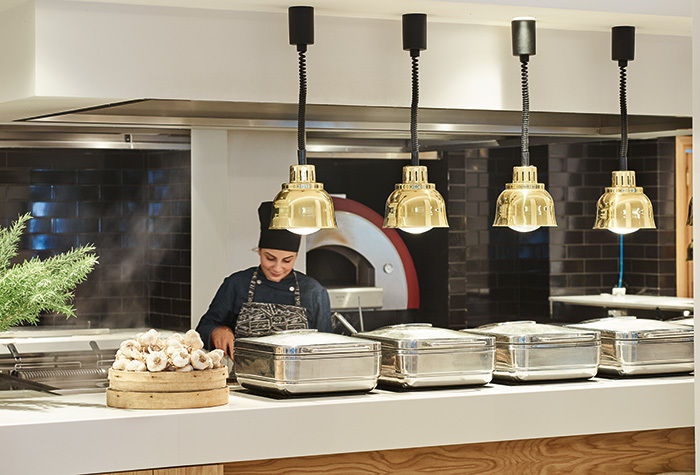 Be captivated by the open kitchen’s roaring pans, dancing grills, grab & go bakery and handmade onsite delicacies. The menu is focused on fresh, locally sourced ingredients prepared and plated by our chefs and their culinary teams. 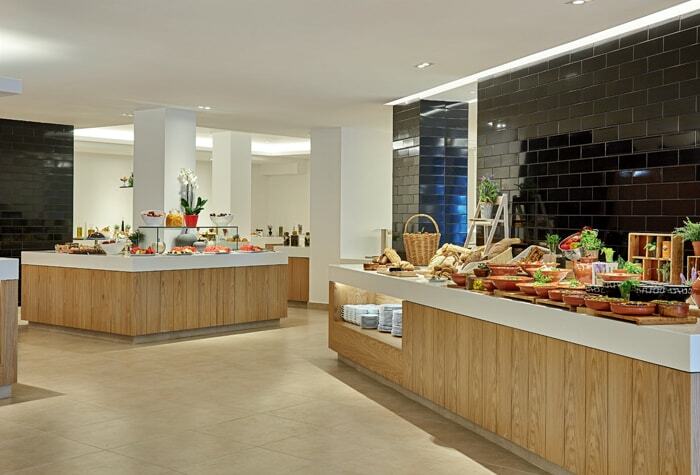 A generous buffet-style breakfast - including Traditional Corner, healthy and vegetarian options and an extensive international buffet with Mediterranean overtones you could enjoy during breakfast, lunch or dinner time. The menu features starters, pasta dishes, main courses, sides and desserts. Cooking shows and live events by our chefs. Thrilled just by looking? Wait to taste those succulent delis. Are you into ham, prosciutto or smoked salmon? Cold cuts are cut on the spot. Place your order and enjoy! A unique restaurant concept serving “menu dégustation” from France, Italy and Greece prepared by our master chefs. 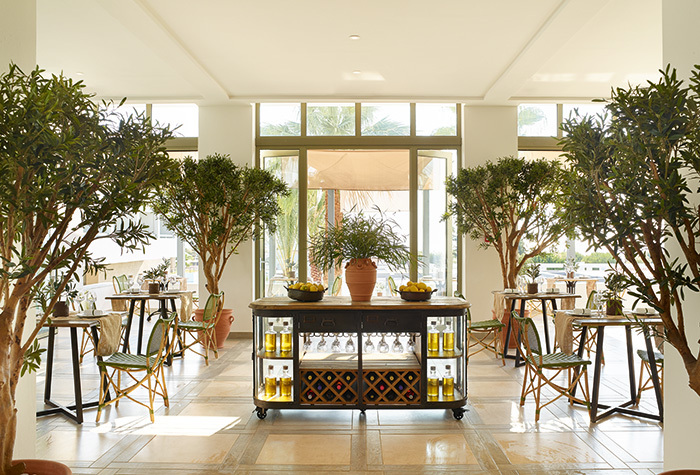 The Olive Restaurant is a culinary experience par excellence which takes place next to the sparkling water features. 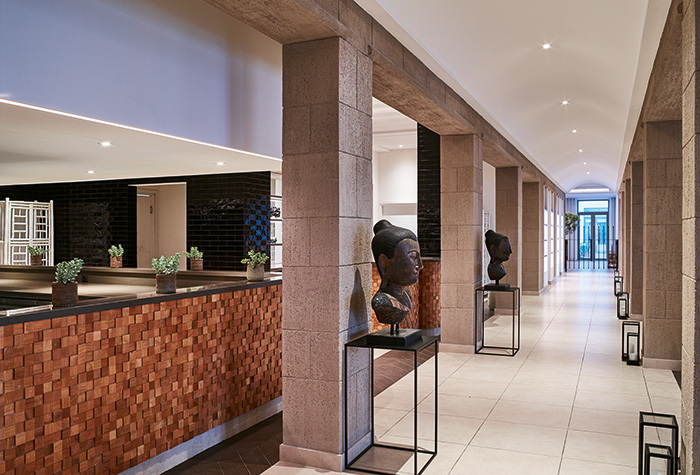 This lavish venue sets the scene for sophisticated dining, celebrating the freshest in local produce while focusing on an ever-evolving seasonal menu. 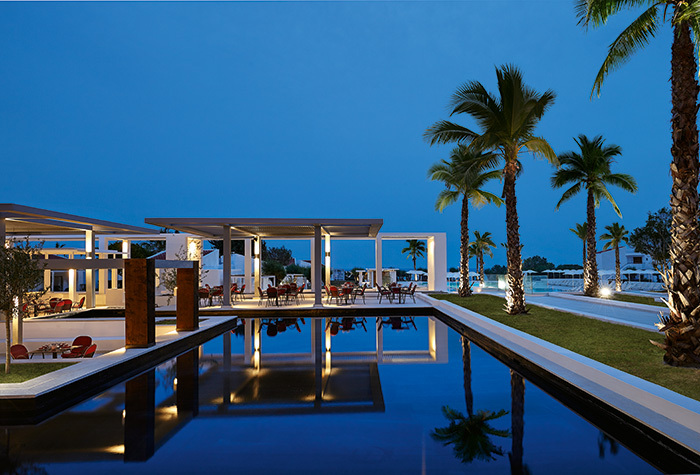 Choose between three unique gastronomy conceptualized around adored Mediterranean cuisines. The degustation menu is ideally paired with our wide selection of wines and the mesmerizing sunset. Booking is strongly advised. Please note that The Olive Restaurant welcomes guests 12 years and above. Try M. Butterfly’s new a la carte menu including the very best Asian delicacies. Savour the taste of the Far East in a brand-new venue that captures the essence of this exotic culinary passion for dining in an animated restaurant environment with sizzling spirit and aromatic overdrive. 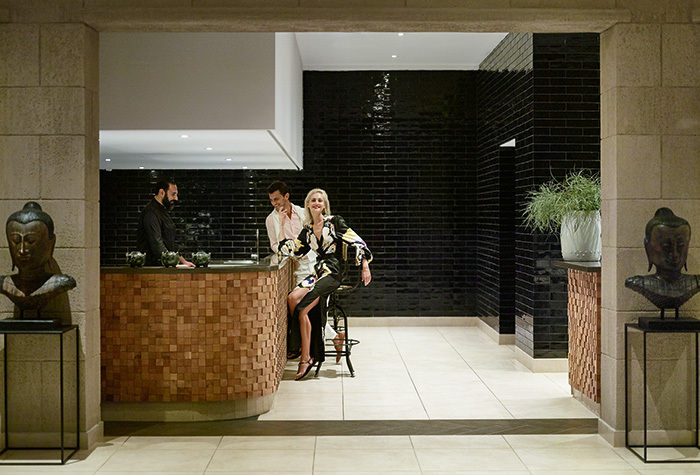 Asian cocktails and fine wines from the Lux Me Rhodos Cava complement a contemporary approach to exotic palatable delights. Dinner only. High Season. It’s all Greek to you in this contemporary style “tavernaki”! It’s Meze+Ouzo time with warm bread and olive oil. This venue overlooking the sea is also a breakfast restaurant reserved for beach lovers. While cooking authentic dishes for lunch and dinner is a serious business for our staff, you are kindly advised to profit from the relaxed ambience and let us offer you the very best of our imaginative cuisine. 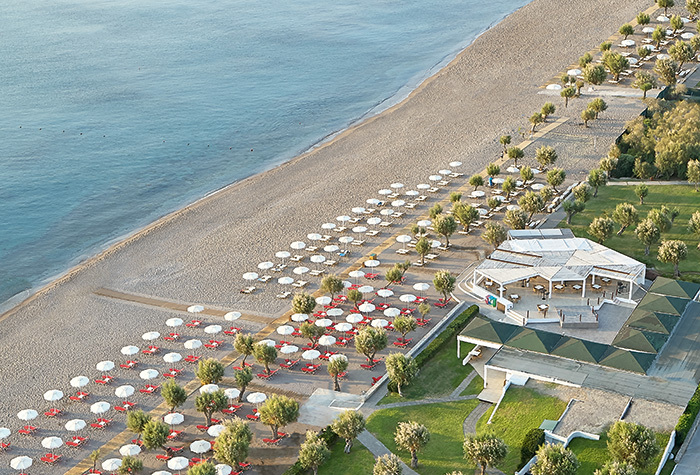 Bring your loved ones and dine overlooking the Aegean Sea while nature stages its sunset theatrical play. Lunch: 12:30-14:30 (Buffet), Dinner: 19:00-23:00. Selected days & weather permitted. Enjoy a detox drink or a light meal, check the variety of succulent confiseries and cherish those precious casual lunchtime moments. Are you into a tempting dinner? Choose the dish you cherish the most from a contemporary menu with Italian culinary classics. 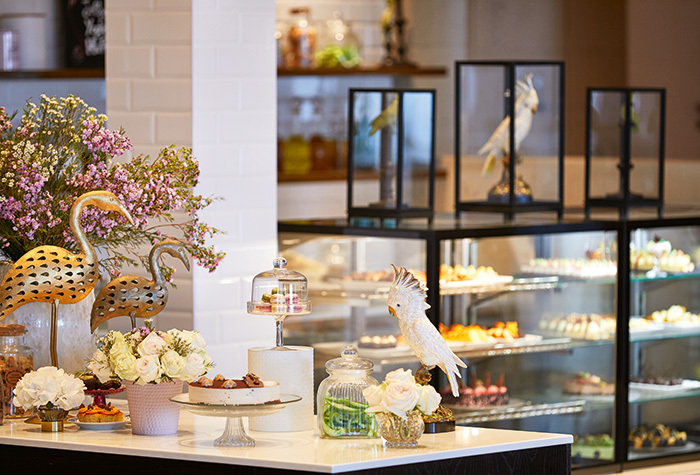 Located at the gourmet arcade in a refined atmosphere, this lavish all-day venue has a surprise up its sleeve. During daytime its sections specialize at fine lounging with a light fare. Lay-back and sip your hot espresso or opt for a yummy pastry; this is the ideal place to meet-up and enjoy the luxury spirit of Lux Me Rhodos. At night, the venue is transformed into an Italian à la carte restaurant. 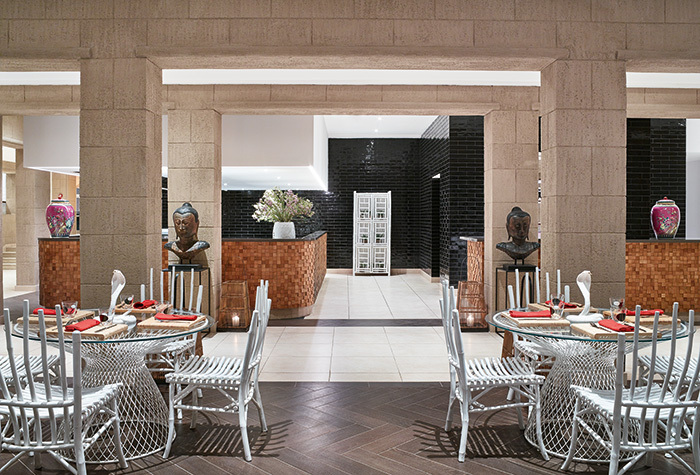 In this relaxed chill out venue we invite you to taste Italian classics with a modern twist. Pizza, pasta and …more homemade dishes by the masters. Mama mia! Italian a la carte Dining: 19:00-23:00. Selected days & weather permitted. SWEET & SALTY WITH ICE CREAM ON TOP! “I scream, you scream, we all scream for ice-cream…” Need a pick-me-up after a dip in the pool? Treat yourself to a warm crepe filled with your favorite cream flavor or enjoy a gelato, a fruit sorbet, or Greek-style café frappé. Refreshments, sweet and salty options in this dreamy venue served from morning to sunset at a great spot. 24 hours / 7 days a week lounge and dine with coffee, pastries, light bites and innovative cuisine. Available in all Restaurants (23:00 onwards served only in our Lounge Lobby Bar). 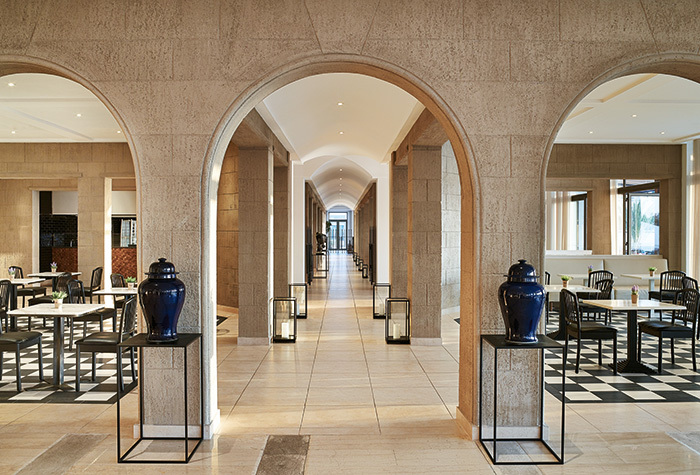 Set in Lux Me Rhodos exuberant lounges our lobby bar oozes luxury and old-world lavish décor. Refreshments, specialty coffees, high teas, and cocktails throughout the day and evening. 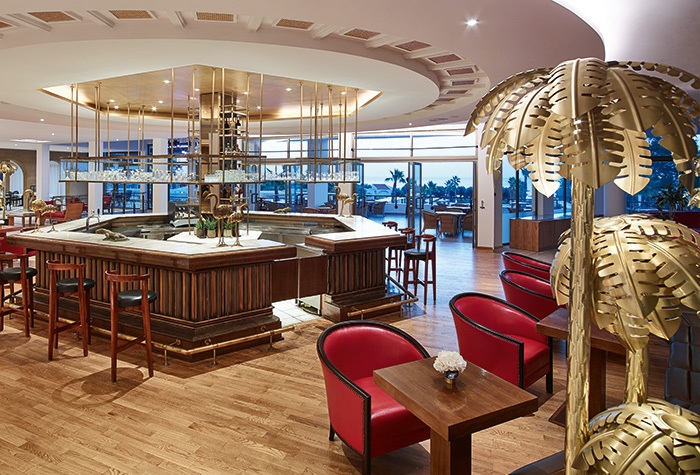 A dazzling cosmopolitan bar that radiates the charm and luxury of the Resort. Along with the red velvet signature couches this imposing venue is the perfect place for either pre or post-dinner drinks. If you are looking for a place to spend a relaxed day under the glorious Greek sun, sipping a cocktail and listening to good music is the ideal place for you. All day fun with cold beverages, cocktails and virgin cocktails right on the beachfront. Now that the dinner has come to happy end, immerse yourself in live music and shows. The venue is filled with social excitement made for great people watching. 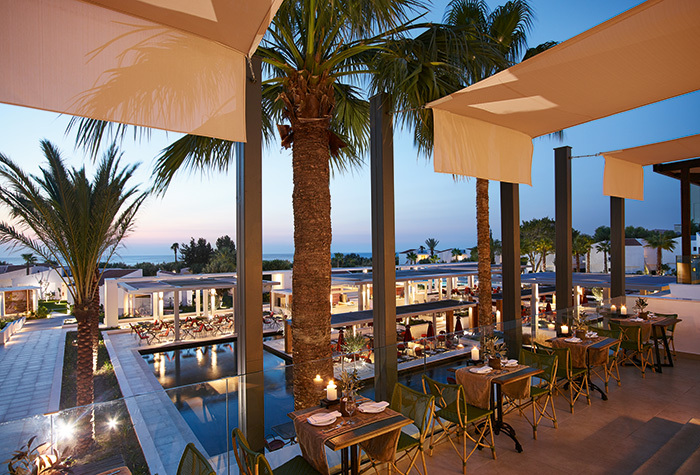 - Restaurants are subject to availability and weather conditions, reservation required except Helios Restaurant. - Please inform the hotel staff in advance of any allergies or intolerances you may have. Our menu might contain traces of allergenic substances.